Agitator is illustrated as a mechanical device that brings motion by the process of shaking and stirring. The offered gamut is used to be fitted in machines that are used in several industries including pharmaceutical, chemical, cosmetics, food and beverages. The main function of using it is that it mixes different liquids together, upholds chemical reaction, offers the homogenous mixture and also increases the heat transfer. 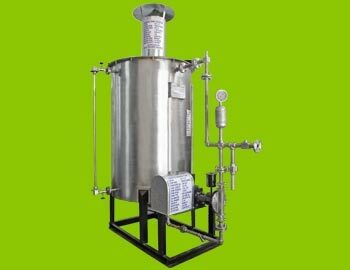 Designed to be used for high precision and flawless performance, Dosing System Agitators (Stirrers) are used basically in sugar and other industries. These comprise of three orientation level, including top entry, bottom entry and angular entry, which is operated in variable operating speed. Type High Or Low Rpm With Suitable And Bracket Arrangement. Impeller Type (3 Blade)- Propeller Type - Diameter Of Propeller Shall Be design To Swirl The Solution Considering Temp & Viscosity. Mounting Top Entry, Centre Mounted.